MANILA, Philippines – Ex-Memphis Grizzlies center Hamed Haddadi spent just a minute on the floor versus Philippines but still, Team Iran managed to drop Team Pilipinas, 81-73 on Thursday, September 13, 2018 in Tehran, Iran. It was 5 years ago since Philippines and Iran met for the World Cup Qualifiers where the Asian powerhouse copped the gold while the Filipinos bagged the silver award and It’s been just over a week since both teams participated in the Asian Games where the Iranians won the crown while Team Pilipinas finished fifth overall. It was really a challenge for Coach Yeng Guiao to form a team in such a short time frame. Gladly, PBA team owners cordially lent their players to fill in the big void left by majority of the Gilas players who are currently serving their suspensions due to the fracas happened in Philippine Arena versus Australia couple of months ago. Despite the misfortunes, Coach Yeng and his team managed to post a 22-21 lead over the home team after the 1st quarter. 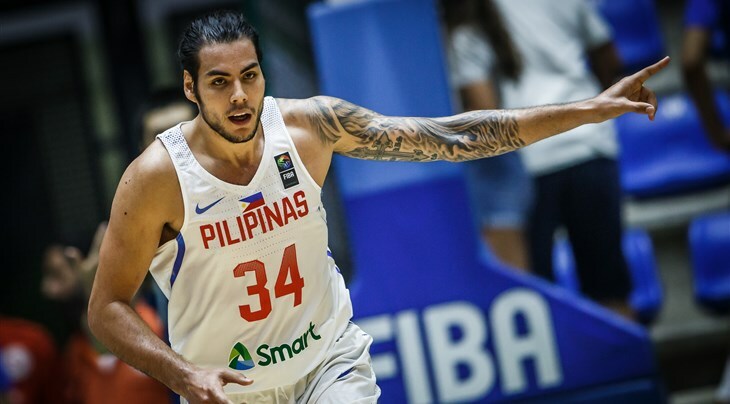 Christian Standhardinger became an early threat to Iran with 10 points in 10 minutes of play time. Ex-NBA player Hamed Haddadi was in uniform prior to tip off but didn’t set a foot on the hardwood come game proper. Without the 7’2 center, co-veterans Nikah Bahrami and Mohammad Jamshidi took his place and provided fire power for Iran in the 2nd period. Fil-German Standhardinger who served as the team’s naturalized player continued to drop significant digits to counter Bahrami’s scoring surge. In spite of Standhardinger’s effort, Iran concluded the 1st half with 40-38 advantage. The game slowly turned physical as Beau Belga and Marcio Lassiter suffered deep cuts in different occasions after absorbing hard hits plus technical fouls were thrown at both parties for unnecessary contacts as the 3rd quarter began. The addition of Alex Cabagnot and Marcio Lassiter is really a big boost for the nationals especially in the outside shooting department. But the Beermen backcourt tandem were quiet and have yet to provide offensive threat. Philippines committed a handful of turnovers that paved a way for Iran to maintain its lead, 63-60 entering the final chapter of the game. Three point shooting was really missing for Team Pilipinas all throughout the game. Normally in the PBA, Lassiter, Cabagnot, Lee and Maliksi can shoot from anywhere beyond the arc with ease but tonight, the rim looked a little bit tight for them as they missed most of their shots. In contrary, the Iranians were lighting it up from the outside and slowly but surely ramped up their margins. Under 3 minutes of the ballgame, Iran’s lead had gone up to double-digit for the first time as Philippines abruptly collapsed in the defensive end. Hamed Haddadi made his first appearance on the floor at the last minute of the fourth and sealed the game for his Team 81-73. Philippines will have 3 days to prepare for its next game against Qatar. The home game however will be a closed one as part of the sanctions imposed by FIBA after the unfortunate incident against the Boomers. The game versus Qatar on Monday, September 17, will be aired live at 7:30 pm by ESPN 5.